South Texas We Are Change will be accepting donations & selling treats for the FealGood Foundation this Sept. 11th. 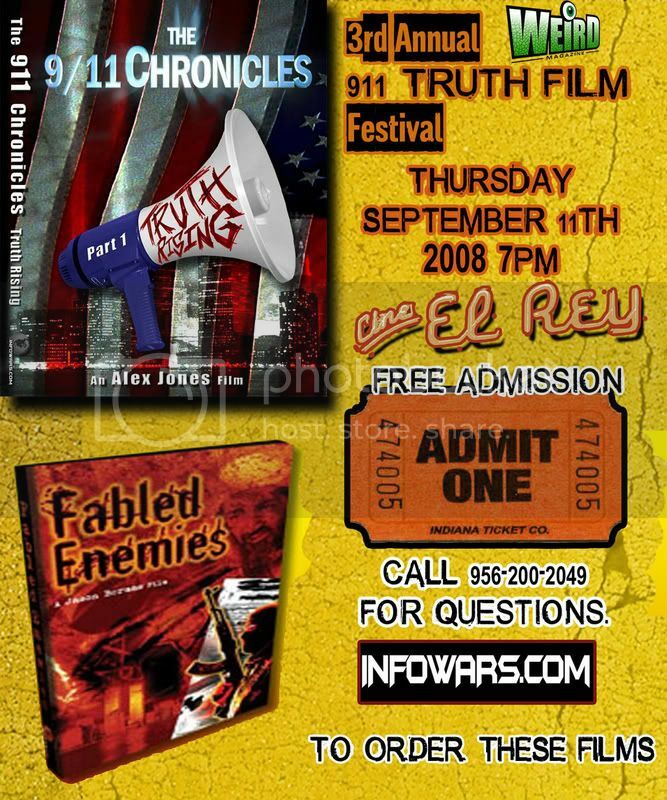 2008, 7pm @ Cine El Rey (311 S. 17th st. in Mcallen,Tx) Accompanied by a Screening of “The 9/11 Chronicals Part 1-Truth Rising ” & “Fabled Enemies” sponsored by Weird Magazine. The Primary mission of The FealGood Foundation, a non-profit organization, is to spread awareness and educate the public about the catastrophic health effects on 9/11 first responders, as well as to provide assistance to relieve these great heroes of the financial burdens placed on them over the last 7 Years. All proceeds from the sale of these products (Cupcakes, Brownies, Cookies) go directly to the FealGood Foundation. 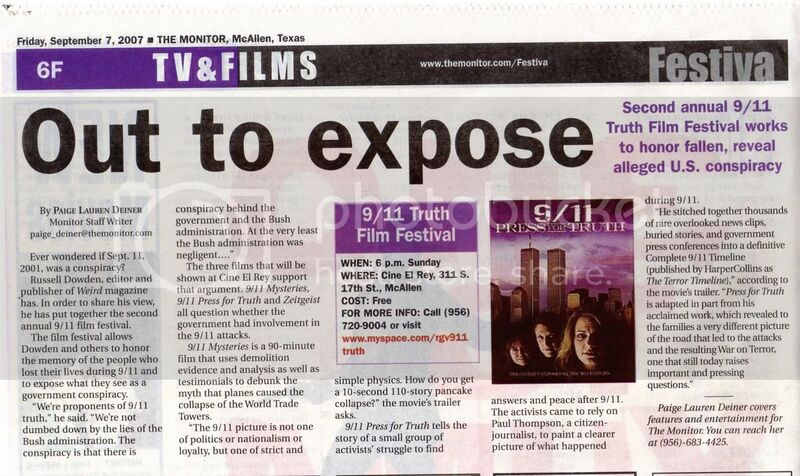 Here is the article about the upcoming 9/11 Truth Film Festival 2, written by Paige Lauren Deiner for the McAllen, TX newspaper, The Monitor (www.themonitor.com).